ME&A was awarded USAID’s Human and Institutional Capacity Development (HICDpro) Indefinite Delivery, Indefinite Quantity (IDIQ) contract in November 2013. 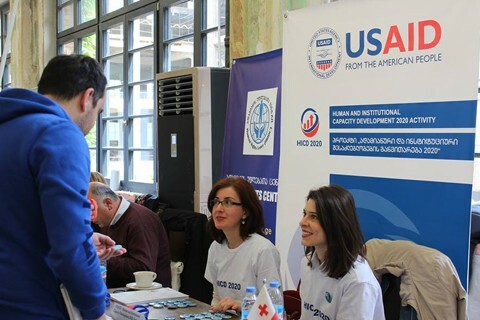 Under this five-year contract ME&A and its team of seven partners provides USAID Bureaus and Missions throughout the world with a wide range of services and technical support related to human and institutional capacity development (HICD). 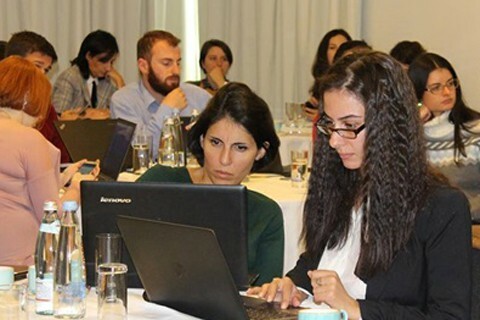 ME&A is currently implementing the HICD 2020 Project in Tbilisi, Georgia, under the HICDPro IDIQ. HICD Knowledge and Expertise: Extensive HICD-related organizational development expertise applied in a wide range of sectors (financial, health, agriculture, infrastructure, technology, etc. ); organizational settings (large public sector institutions to community-level organizations); and development contexts (conflict, post-conflict, and transitioning countries). Proven Management and Delivery Capabilities: A proven track record of success on IDIQ contracts that demonstrates our ability to assemble multiple high quality teams quickly and cost effectively, and consistently deliver high quality work on diverse program and technical support needs worldwide. Understanding of USAID Needs and Priorities: A keen understanding of USAID’s organizational needs and priorities within the broad strategic context of USAID Forward. The ME&A team is prepared to provide effective, full life cycle program support to Missions and Bureaus in planning and coordinating HICD efforts, delivering ongoing expert HICD consultations, and performing program assessments and evaluations. Commitment to Teamwork and Collaboration: ME&A and its team members have enjoyed long standing collaborative working relationships with USAID, the organizations and individuals on its team, and numerous partner organizations. The ME&A team brings experience and proven capabilities of providing quality services and broad coverage of HICD-related programs in all regions of the world. Individual certification for participating personnel will be provided through the International Society for Performance Improvement (ISPI) and the American Society for Training and Development (ASTD). Contact: Sara Kline at SKline@engl.com.